Sorry for being so quiet over the last few days. I was in Munich – work-related. However while I was gone, buzzfeed published a DIY project I did for them. It got a lot of attention and I’m very pleased because it’s one of the best I ever did. 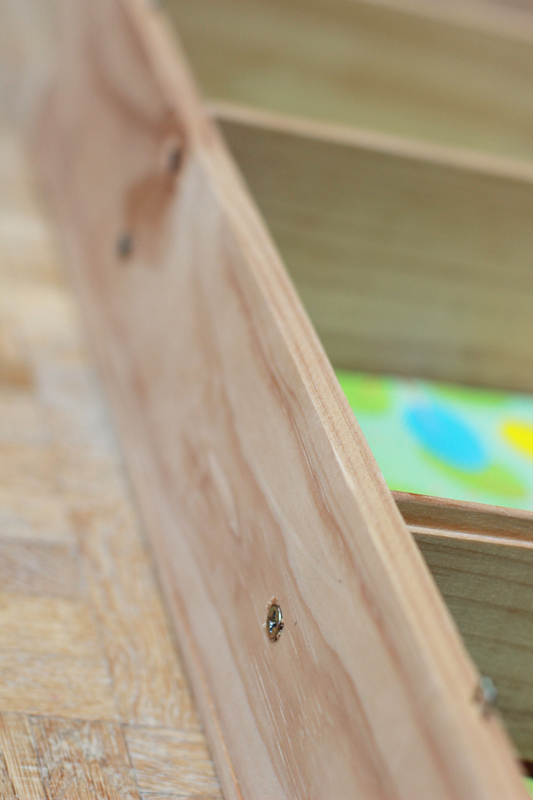 Remember the kitchen shelf I made out of upcycled wooden wine boxes? It’s kinda the same. Same, same but different. Because I have been asked before: the tea pot is from Marimekko. The cups are decorated with letters designed by Arne Jacobsen (you can get them here). 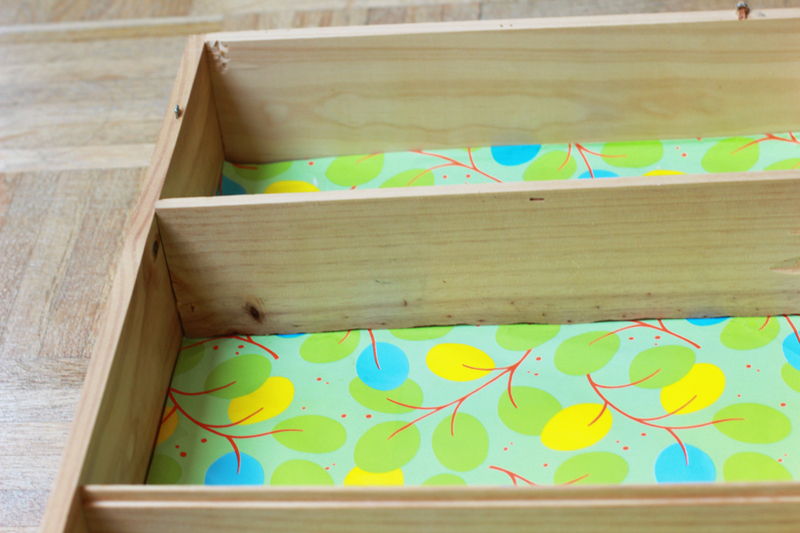 And it makes so much sense that you make this after Christmas and New Year because upcycling. But see for yourself. Adjust the paper into the box. I just folded the edges of the paper to the back. You can stick it to the box but you don’t have to because it will hold anyway. 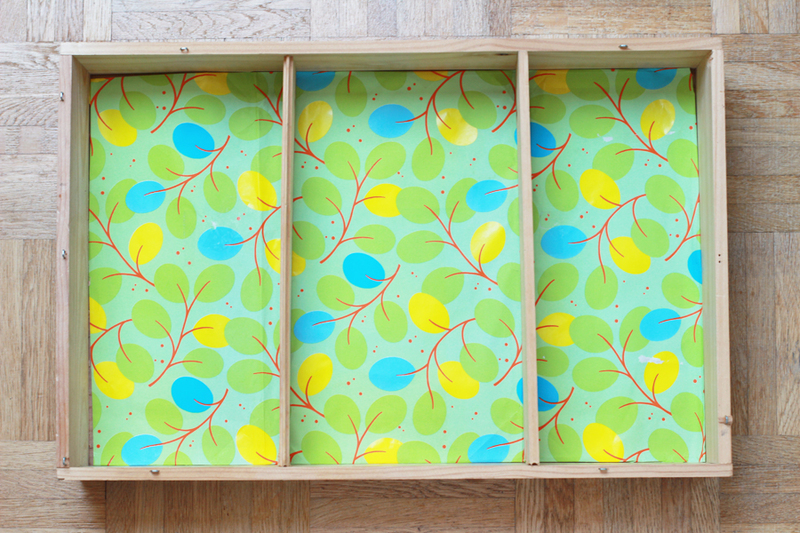 Then take the pieces of the lid and place them where you want the shelving to go (you might have to adjust the size a little). Screw the pieces together and voilá! 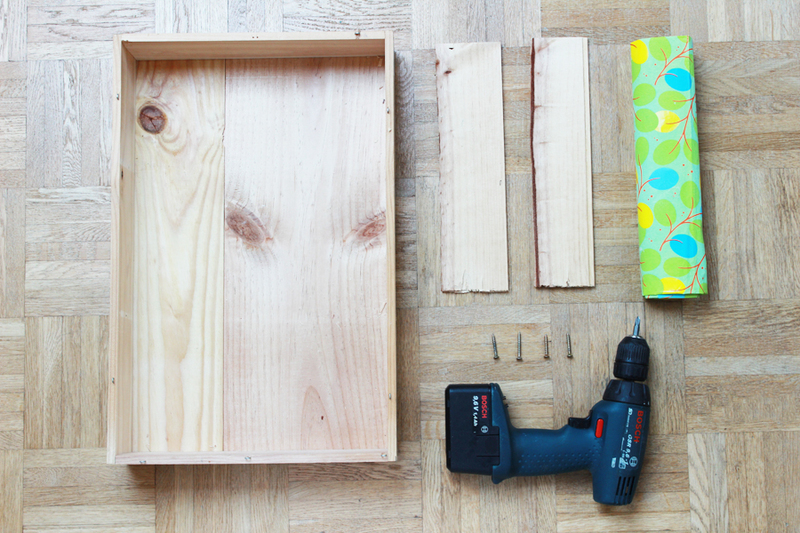 You’ve made a little shelf in under 30 mins! Like magic but better. 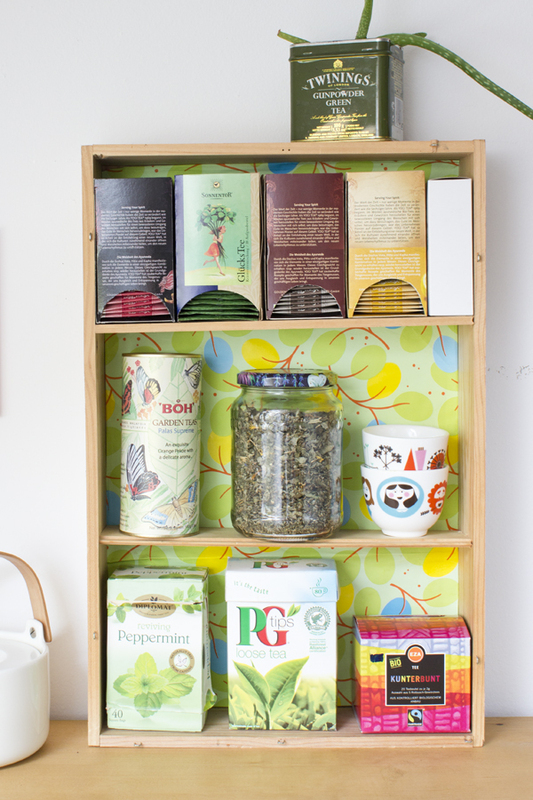 I use the shelf to store (some of) my tea collection. However it can hold any little things that you want to store on display. 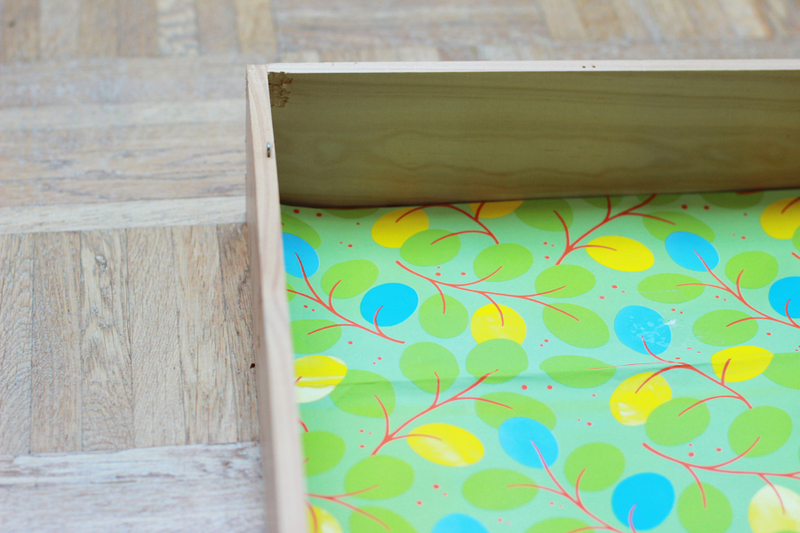 Using wrapping paper instead of wallpaper is a great and affordable idea. Thanks for sharing this! Reblogged this on The Adventures of Jenna and Neil. This is really neat, thanks for sharing! 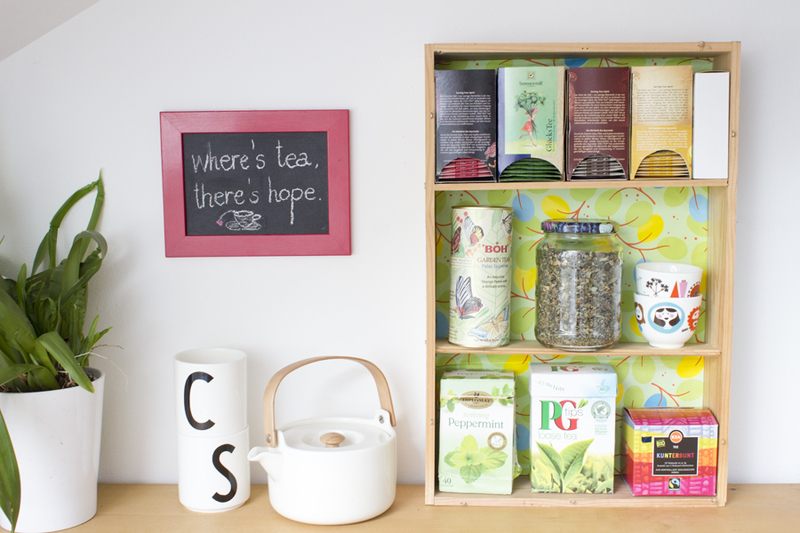 I have so much tea I store it in a shelf cabinet that looks like this one (except much bigger)…works like a charm not having to open and close any cabinet doors…love it! ooh I love this! I need to find a box now… 🙂 Thanks for sharing!